Have the pundits convinced everyone, and successfully sold the notion that an Indian cricketer is good, only if he performs overseas? Is doing well in India something to be ignored? There can be little denying that fans tend to gush over wins abroad, more than they do in India, and the same can be said to be true of individual performances. Over the years there can be said to be many Indian players who didn’t quite get their rightful place among the greats, largely because they were much more dominant in India than abroad. Have the pundits actually been able to convince everyone that an Indian player doing well in India is something to be ignored, and unless an Indian players performs overseas, he is just making up the numbers? Lets take two examples – Anil Kumble and Virender Sehwag. When you talk of the great bowlers of all time, how often does Anil Kumble come up for discussion? When you look at the stats, Anil Kumble is the third highest wicket taker ever in the history of test cricket. Yet, when was the last time someone said Anil Kumble was one of the greatest bowlers of all time? Why is Kumble not give his due? If you ask anyone they will tell you that Kumble took most of his wickets in the favorable subcontinent conditions, and failed to perform overseas. So? He still took wickets didn’t he, why this obsession with him taking wickets only outside the subcontinent. Are all the wickets he took in the subcontinent to be ignored? Do these wickets not matter, are they to be removed from the record books? Or is the argument that taking wickets in the subcontinent for a spinner is too easy, so that Kumble took all those wickets is no big deal. Or is the argument that Kumble was not a special bowler, but just had lots of help from the conditions? Well if that is the case, then surely every spinner from the subcontinent to ever play should have taken more wickets than Kumble, or atleast as many as him? So how many of those bowlers have taken more wickets than Kumble – just 1, Muttiah Muralitharan. It’s not like there has been a shortage of spinners in the subcontinent, Mushtaq Ahmed, Saqlain Mushtaq, Abdul Qadir, to name a few, and none of them come even close to Kumble’s wicket hauls. So why then is Kumble is given such a raw deal? Players like McGrath, Walsh, Pollock, Akram, all of whom have far fewer wickets than Kumble, are hailed among the best ever, but Kumble has been rather cruelly forgotten. Why? Largely because he did well at home? Is doing well in India so unimportant? Sehwag is another example which just defies all logic. In tests as an opener Sehwag averages nearly 50, and which ever way, you look at it, an opener that averages 50 is worth his weight in gold. Sehwag though is destined to be sidelined as a flat track bully. The truth is in the history of the game, there have been few batsmen who could destroy bowling attacks like Sehwag could. Once again what is the argument against Sehwag, that he scored a lot of runs in the subcontinent? So what if he did? Do those runs not count? Or if scoring in the subcontinent is so easy, then surely, there must be a tonne of batsmen who have a better test average than Sehwag, or do they? 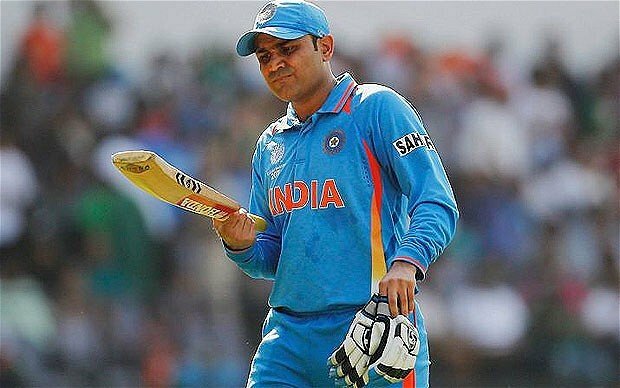 For batsmen to have played atleast 20 innings, Sehwag has better averages than, Javed Miandad, David Gower, Mahela Jayawardene, Sachin Tendulkar, Kallis, Inzi, Border, Dravid, Gavaskar, Zaheer Abbas, to name a few. If batting in the subcontinent is so easy then how come Sehwag has done better than these greats, most of whom also played a bulk of their cricket in the subcontitnent, and most of whom were not even openers? Is doing well in India, so easy that those runs and wickets should be ignored? Have the ‘pundits’ actually convinced, everyone, even the Indian fans that doing well in India is secondary to doing well abroad? Or worse still, that doing great in India, is secondary to doing (just) averagely well abroad? Kumble and Sehwag are just the more glaring examples, there are quite a few other examples as well, like for instance, Harbhajan Singh is the 10th highest wicket taker ever in tests, yet the number of times he is slated for not performing abroad, one would think he was the 10th worst bowler ever. The same is true of other subcontinent players too, like for instance, Vaas, from Sri Lanka, has more wickets than Gillespie, Brett Lee, Donald, but is he given the due place? It’s also not just true of Individual performance, but team performances too. It has been driven home into every Indian cricket fan that India upto the start of the present tour of England, India have lost 12 of the last 14 test overseas and drawn 2. However, how many Indian fans know that in the same period, India have won 11 out of 15 tests in India, lost 2 and drawn 2, an excellent record by any means. Yet the home stat will be ignored, and purely on the basis of overseas record, India will be referred to as a struggling test side. India lost 8 matches on the trot overseas will be blown up, but that they have won their last 6 matches on the trot at home will not even be mentioned. Winning 6 straight at home is a run most teams will kill for, and only Australia in recent years can claim to have that kind of record at home. The truth is that Indian fans do seem to have been successfully sold this notion by Pundits, that only performances overseas are all that mean anything and playing well at home, individually or as a team, is irrelevant, and secondary. An away draw is preferable to a home win, and that simply cannot be the case. A win is a win, wherever it may come and a draw is a draw. In cricket scoring runs and taking wickets matter, and where those runs are scored or where those wickets are taken don’t. It seems these standards don’t apply to other teams, but only India. Hayden scored 380 against a weak Zimbabwe team, at home in conditions familiar to him, but all hailed it as a ground breaking innings. However when the 200 barrier in ODIs was crossed, all three times by Indians, suddenly the pundits turned up to say that these scores were in familiar flat sub continent pitches !! Were other batsmen not batting on these same pitches, and if scoring on them was so easy why didn’t their batsmen score 200 too? When Hayden scores buckets of runs against a weak opposition, in familiar conditions, it is alright, but an Indian scoring in India, all the pundits react like some injustice was done to the bowling team. Its almost as if the opposition bowlers when playing in these matches had to bowl with one arm tied behind their backs, and their shoe laces tied together, and when the opposition batsmen bat on the same, supposedly, flat wickets, they are given hockey sticks, instead of bats, and have to wear a blind fold. The pundits do all they could to remind the viewers that Indians are playing in home conditions, as if the other teams never get to play at home. An overseas bowler is excused for being inept on flat pitches, but all hell breaks lose when an Indian batsman fails on green tops. It has almost become fashionable to slate players doing well at home, on ground that they don’t do well abroad. Which is better, a player doing well at least at home, or a player doing avg away? The ‘pundits’ will tell you its the latter, but as fans we cannot fall into their trap. Good performances in India are not in any way inferior to good performances abroad, and while ideally one would like India to do well both in India and abroad, but they both are at the same level, and performance abroad are in no way more special than performances at home, and good performances at home are not to be forgotten or ignored.